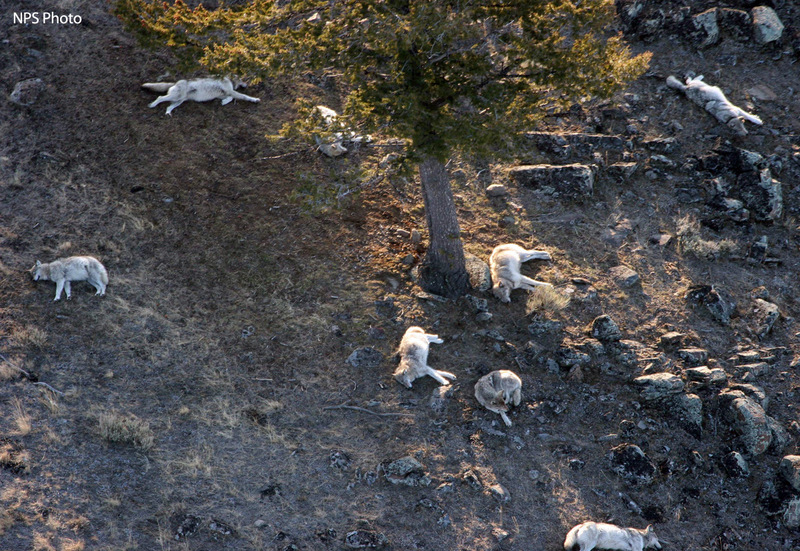 The Leopold pack split during the 2006 breeding season resulting in the establishment of the Oxbow Creek pack. Initially the pack consisted of three female dispersers from the Leopold pack (536F alpha female, 470F, and an uncollared wolf) and an unknown alpha male. This new pack persisted despite territory conflicts with neighboring packs. A double litter in 2006 produced 10 pups, drastically increasing the pack size. Conversely, a few years later in 2009 no pups survived. During 2009, five remaining wolves died due to other wolves (589F), unknown reasons possibly related to disease (626F, 628, and the alpha male), or malnutrition and mange (536F). No Oxbow Creek wolves survived into 2010.